Happy Teacher Appreciation Week to all of the amazing men and women who take on the mission of educating and nurturing students of all ages in all subjects! This time last year we found out that our own Carlos Sanguinetti’s wife, Shana Sanguinetti, had been named the Teacher of the Year for the San Diego Unified School District for 2013. Her husband Carlos is, of course, well-known on our blog for putting on the Ronald McDonald House Dinner with Friends in March. Read about this year's Dinner here. My family is lucky to have experienced two years with the 2012 National Teacher of the Year. All of our teachers would say that they couldn’t do what they do without the support of their colleagues, students and parents. Continuing Education is an important part of what we do at the Alliance Environmental family of companies and since we are celebrating educators, it is definitely time to talk about the teachers we have at Alliance Environmental Group. Did you know that we offer a training course for insurance adjusters that has been certified by the Department of Insurance? 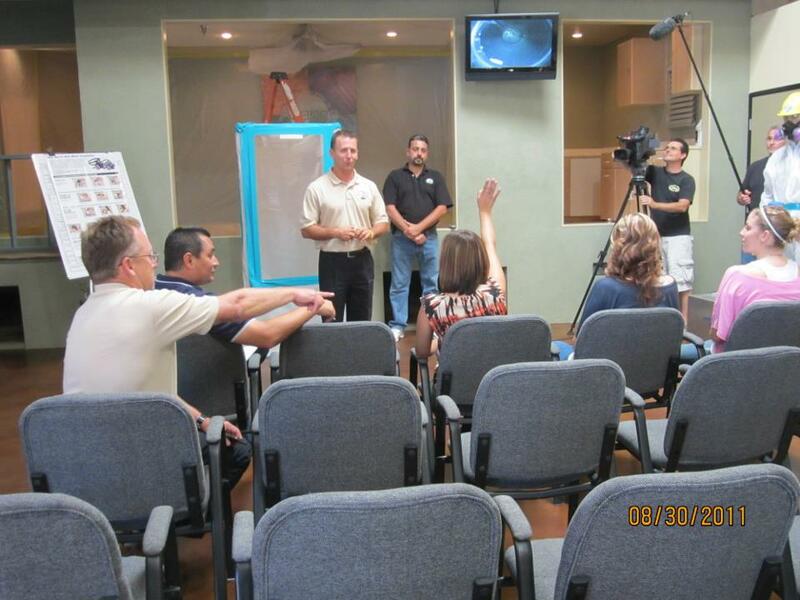 Our amazing teachers, CEO Joe McLean, Bill Wood and Jeff McLean provide a 5 hour hands-on training course in our own onsite facility on dealing with asbestos, lead and mold issues. Please contact us for more information! And thanks, Joe, Bill and Jeff and for helping insurance adjusters all over California continue their path of lifelong learning!